Welcome to ABC Fuel, where you will find the best home heating oil prices around! If you live in the areas of Danbury, Brookfield, Newtown, New Fairfield, New Milford, Bethel, Ridgefield, Redding and the surrounding areas, ABC Fuel is your best bet for home delivery discount prices. ABC Fuel wants to be certain that you have enough oil to heat your house during the winter, and that your home stays warm for the entire season. We ensure that all of our drivers are well qualified and trained, so that your home delivery is performed on time and to your satisfaction. We monitor the daily price of oil, and pass that savings onto you. Have been using it for a year or so. Much much better than the previous company that was just basically ripping us off. We used to pay something around 4 grand a year, now it's less than a half of this amount. ABC fuel has unbeatable prices and good service. Very fast delivery, very nice employees. This is the best company! They have fair prices and are always willing to come out when they're closed! They are so nice and very quick! We have used them since 1999 the best price always. Thank you for filling our tank today and under my budget!! Great people and great service! They deliver when you need it and at a great price. Great company!! I'm done with high priced contracts & over priced oil that you have to pay to lock in. My whole family uses them.Always the best prices and friendly service. The best oil company in the Greater Danbury area, excellent prices and service. Low prices all the time. Friendly reliable service! Lowest prices around. And best service. Always the lowest prices!!! Great company. Always the lowest price and excellent customer service. We monitor the daily price of oil, and pass that savings on to you. ABC Fuel keeps prices low, because as a local business, we know how important it is to fuel your home when you need it most. Whether you are tired of being overcharged, or you need a home inspection of your current oil tank, contact the staff at ABC Fuel. 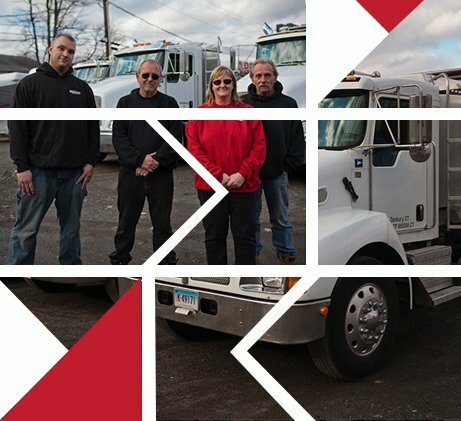 Our courteous and knowledgeable staff has led to plenty of warm homes and happy customers throughout Connecticut. Let us add your family to our list of deliveries for this upcoming season. Serving Danbury, Brookfield, New Milford, New Fairfield, Newtown, Bethel, Bridgewater, Gaylordsville, Roxbury, Ridgefield, Redding, and the surrounding towns in Connecticut.